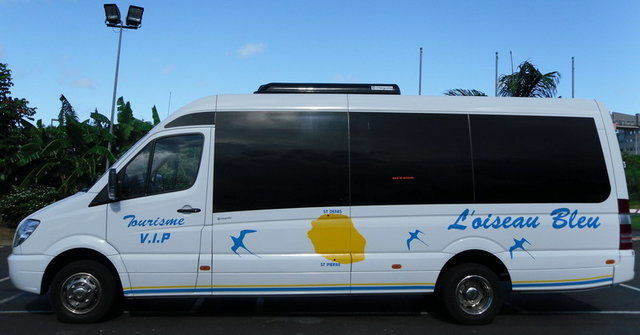 LOiseau Bleu Transport hires out coaches with drivers for travel throughout Île de La Réunion: school transport, works councils, educational outings, tourist excursions, transfers, and VIP transport. Fleet of fifty 8- to 60-seater vehicles including air-conditioned luxury tour coaches. 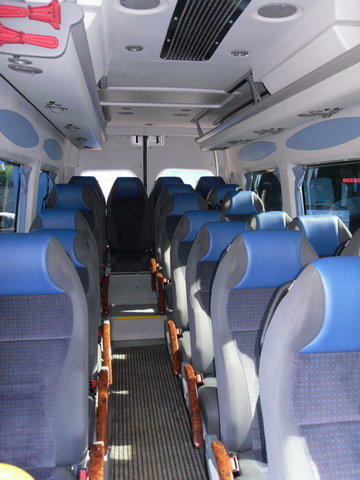 Equipment and services available on request: microphone, air-conditioning, CD player, and professional guides. Located 3 minutes from Roland Garros Airport, and near Boulevard Sud. Environment / Access : Coming from Saint-Denis, take Boulevard Sud. After the ZAC Fourcherolles (Candin) roundabout, go over the bridge and take the first exit on the right. Turn right at the stop sign. 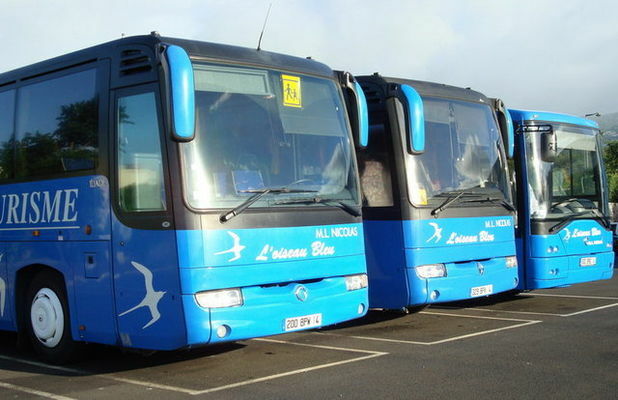 LOiseau Bleu Transport is 100 metres along on the right. Coming from the East, take Boulevard Sud. After the bridge over La Rivière des Pluies, take the second exit to Saint-Denis. Take the first exit on the right, to the bank and the service station. Drive past the service station and continue straight on to the stop sign. Turn left and drive under the bridge. Carry on for about 100 metres and you arrive at LOiseau Bleu.